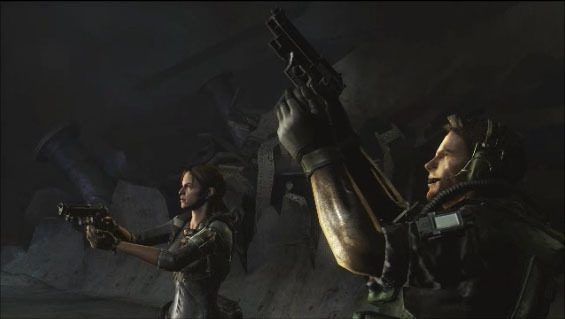 Resident Evil Revelations is a third person shooter that was first released on the Nintendo 3DS in early 2012 and was remade for the home console systems. Once again the story centers around Chris Redfield and Jill Valentine, so retro Resident Evil gamers rejoice. The twist is that they each have a different partner. Jill is sent on a mission to find Chris who has not checked in and either has his partner Jessica Sherawat. Jill and Parker Luciani are sent to a cruise ship called the Queen Zenobia. The ship is floating by itself in the middle of the Mediterranean Sea. How it got there and what it is doing there is a mystery and why is Chris there in the first place? What a great game this is. It brilliantly mixes together old and new elements from the Resident Evil series. Let’s start with the old. There is no place to buy and sell weapons, ammo or health. It is back to exploring around and not wasting resources. Since most of the game takes place on a ship you have to be smart when deciding on what weapon to use or when to use health because you don’t know when or if you will find more. Weapon upgrades is more like Resident Evil 2 & 3 where you find parts and add them to the weapons you already have to make them stronger, fire faster or carry more rounds. The new elements are all really good too. 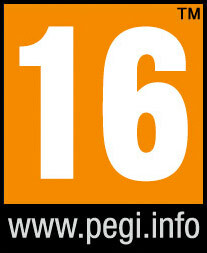 There are several new playable characters. The storyline jumps between several groups exploring different places and each time it switches you find out different parts of the story and how it all connects. 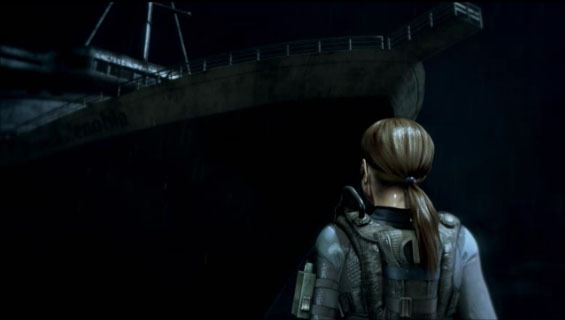 The gameplay is mostly linear with a few scenes taking place a year before the current events. The story is awesome and the more we played the more we wanted to know. It plays out like a spy mystery story. There are two agencies in a power struggle. 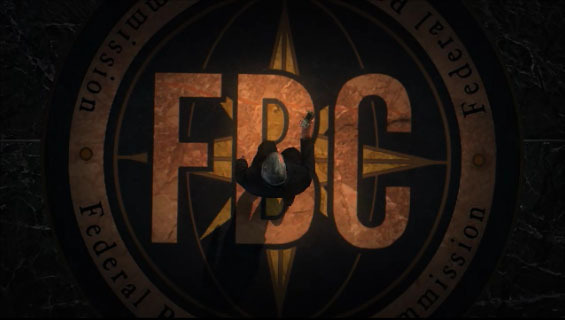 The Federal Bioterrorism Commission (FBC), Bioterrorism Security Assessment Alliance (BSAA) are both involved in investigating what is going on but each one is trying to figure out if the other one is involved with Veltro the organization claiming to be behind the virus and the group that is causing all of the outbreaks they are investigating. Our favorite new elements are the introduction of a scanning tool and the Raid Mode. The scanning tool makes perfect sense. The lab needs information on the bio-organic weapons (BOW’s) so the people in the field take scans of the creatures either after you kill them or as they are coming at you. The scanning also has a second feature. Once you get a 100% scanning rating you automatically get a full life pill to use. You can’t just scan the same monster over and over because each time you scan one you get less percentage points. The Raid Mode is a series of mini challenge maps you unlock as you get further in the game. The challenge maps here are actually very fun and you want to do them all. Each map has a level recommendation. The last map tells you to be on level 50 and the second to the last can be defeated on level 15. So, there is extra leveling to do to get through the final challenge map increasing replay value. This game should be called Resident Evil Redemption because we love Resident Evil again. Why Redemption? Because, Operation Raccoon City and Resident Evil 6 are horrible and a waste of money that’s why. We don’t know how they can come out with two terrible games in a row and then they have a great game like Resident Evil Revelations. The game a little short during the story mode but that is because it was originally a Nintendo 3DS game but with the Raid Mode and the replay value makes a game you will want to own and not just play. Keep your buying price $45.00 or less and start to love Resident Evil again.